Yup. Reflections aren't just for landscape shots :-). 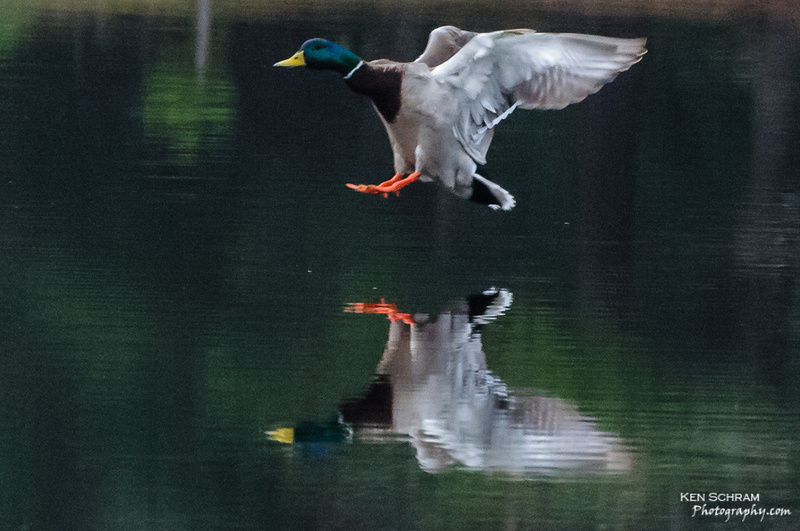 A mallard duck on final approach.